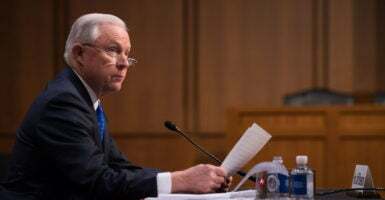 Amid headline-grabbing exchanges on Russia and sanctuary cities, Attorney General Jeff Sessions faced tough questions on civil asset forfeiture at Wednesday’s Senate Judiciary Committee oversight hearing. Sens. Mike Lee, R-Utah, and Jeff Flake, R-Ariz., both voiced their concerns over abusive forfeiture practices and Sessions’ July order reinvigorating the highly controversial adoptive forfeiture program, which undercuts state forfeiture efforts by encouraging police and sheriffs to circumvent restrictive state forfeiture laws. Lee opened his line of questioning by pointing to one of the nation’s pre-eminent constitutional experts, Supreme Court Justice Clarence Thomas. 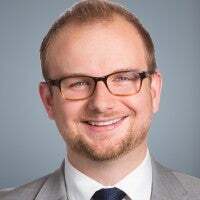 Earlier this year, Thomas dissented from the high court’s refusal to hear a constitutional challenge to civil forfeiture, noting that he was “skeptical” that the modern, almost boundless reach of asset forfeiture could be justified by the limited historical practice known to the Founders. In the view of Lee and others, Thomas’ statement cast serious doubt on the constitutionality of civil forfeiture as it is practiced today, and not without good reason. For most of the nation’s history, it was an ancillary tool in the criminal justice system used mainly in customs and admiralty law. That changed in the 1980s, when Congress ramped up the practice to target drug kingpins, criminal organizations, and money launderers by seizing their assets and ill-gotten gains. Law enforcement agencies were empowered to keep and spend the proceeds of successful forfeitures, creating a powerful financial incentive to seize property. At the same time, because forfeiture is considered a civil matter, Americans caught up in these proceedings have far fewer legal protections than they would if they were actually accused of a crime—something many Americans are surprised to learn is not required to seize a home, car, or life’s savings. [I]n our criminal justice system … we have robust protections for the accused. You’re entitled to a jury trial, to court-appointed counsel, you have a lot of due process protections, as someone accused in this country. If the courts can circumvent those rights, at least with respect to the property of an accused—or to the property of somebody who may not himself or herself even be accused of a crime … that presents significant concerns. Indeed, this same report went on to analyze 100 cash seizures by the Drug Enforcement Administration, noting that only 44 could be tied to an arrest, prosecution, or the initiation or furtherance of a criminal investigation. This is a far cry from the picture painted by Justice Department officials—including the attorney general at Wednesday’s hearing—of civil forfeiture as an indispensable tool in the criminal justice system. Unfortunately, the attorney general appears to have little appetite for broader forfeiture reform. He fervently defended the status quo, in which property can be forfeited based only on a preponderance of the evidence. Although Sessions is correct that this is “the normal civil standard in a civil lawsuit,” given that the Supreme Court as far back as 1886 in Boyd v. United States recognized that forfeitures are quasi-criminal, and that what is often at stake is someone’s home or life’s savings, the “normal civil standard” is too low. This is especially the case as property owners bear the burden, often without the benefit of counsel, of essentially proving that they are innocent of any alleged crime. Sessions also defended his July order to reinstate adoptive forfeitures, the most controversial element of the federal equitable sharing program. Adoptions allow property to be seized by state or local officials, and then be handed off to federal officials for forfeiture under lax federal law in exchange for up to 80 percent of the proceeds. The program has been heavily criticized for financially incentivizing state and local law enforcement agencies to ignore and circumvent state laws that restrict how forfeiture funds may be used, or even eliminate forfeiture altogether. In fact, in the last three years alone, 24 states have passed laws seriously curtailing or ending the practice. Sessions’ order undermines these hard-won victories for the rights of innocent property owners. Fortunately, Congress has taken notice, and is beginning to take action. Last month, the House of Representatives approved no fewer than three amendments to the Make America Secure and Prosperous Appropriations Act that cut off all funding to implement Sessions’ adoptive forfeiture order. Bipartisan legislation has been introduced, including the FAIR and DUE PROCESS Acts, that seek to curb federal forfeiture, rebalance a skewed system, and refocus civil forfeiture to its original, narrow, and laudable goals of relieving the worst-of-the-worst offenders of their illicit profits. Flake noted late in Wednesday’s hearing that it is clear that forfeiture has been abused at every level of law enforcement, and called minor procedural tweaks to Justice Department forfeiture protocols “cold comfort” to innocent people who often spend years fighting to get their cash and property returned. Congress should keep this in mind as it once again moves toward addressing the urgent issue of criminal justice reform. Americans are demanding reforms to our criminal sentencing laws, our methods for reintegrating prisoners into society, and protections against unjust prosecutions in the form of a default mens rea standard. But they are also demanding protection from unjustifiable property seizures. Americans expect their criminal justice system to be focused on arresting and convicting criminals, not simply seizing cash and property that then enrich agency coffers. Perpetuating such a system risks painting the law enforcement community as driven more by avarice than justice. Forfeiture has a role to play in the criminal justice system, but only when properly balanced by protections for the innocent. As it stands today, too many innocent people are victimized by a callous system that is stacked against them in every meaningful way.